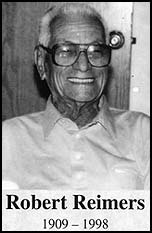 Founder of Robert Reimers Enterprises, Inc.
Robert Reimers was born on Jabor, Jaluit on October 13, 1909, the son of Laten Mejleb from Jaluit and Arno, and Robert Reimers, a German who worked for the Jaluit Company on Jabor Island, the German headquarters in the Marshall Islands. In his early childhood years, he grew up on the out-lying islands of Jaluit's large lagoon with his grandparents Boknake and Mejrirok. 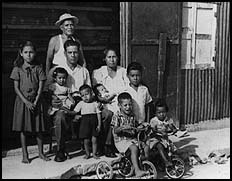 But by the time he was five, he was brought to live at the Protestant Mission on Jabor where he was taught by and learned the meaning of discipline from Jessie Hoppin (known as Miss Hoppin), one of the last of the old-time American Congregational missionaries to work in the Marshall Islands. When he was in his late teens, he began working for his Uncle Samson's trading company in Jaluit, buying copra and selling various goods. He picked up valuable business skills from this short-lived venture with Samson that would provide a solid foundation for his later business dealings. But the downside of working for an older relative, as Robert once recalled, was that he did all the work and his uncle kept all the money. In about 1930, he married Lupe Capelle, who would become his wife of approximately 68 years. 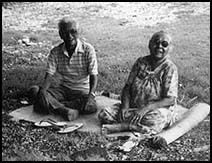 Soon after their marriage, the two went to Lupe's home atoll of Likiep, where Robert started his first business with $500 worth of goods brought from Jaluit. While on Likiep, he honed boat building skills with some of the best boat builders in the Marshalls in the Debrum and Capelle families. By the mid-1930s, he was back on Jabor and took up a job with the Japanese firm Taiyo Shoten. Robert's business ability was recognized by Taiyo Shoten when it sent him to Wotje to manage the company's store there. At the time, it was virtually unheard of for a Marshall Islander to manage a Japanese business. He ran the Taiyo Shoten store on Wotje (and built three outrigger canoes) until just before the outbreak of World War II. He and his family moved to Likiep for most of the war, and were there when the American Navy liberated the islands in 1944. 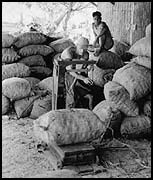 His time on Likiep was full of small money making initiatives: brewing alcohol on home made stills to sell to the visiting Japanese ships that called each month; later carving wooden cigarette boxes and other handicrafts to sell to the Americans at Kwajalein. In between, he worked as the Likiep council's scribe - as he had years earlier with Joachim Debrum, conducting an atoll-wide census and other administrative duties in the early 1930s. Navy officials on Kwajalein learned of Robert's boat building and carpentry prowess from another Likiep Islander who was working at Kwajalein, and brought Robert to the Navy base to work at the boat pool a couple of years after the war ended. The Americans liked his no-nonsense, hard-working attitude, and he was soon running the boat pool - converting old Navy launches into cargo boats for use on the outer islands - and, in his spare time, starting up a new business by importing merchandise from Hawaii through a friend who had earlier worked at the Kwajalein base. Many older Marshallese still recall the perfume "Midnight" that was among Robert's most popular items for sale in the little store above the boat pool on Kwajalein. In 1950, the Navy moved Robert and the boat pool operation to Majuro to the spot in Delap near the Assembly of God Church. Not long after, his boat building work began to give way to full time trade in food, clothes, perfume and other luxury items. But Robert's business activities were always closely associated with boats buying copra and selling trade goods on the outer islands. Following a land dispute on the property in Delap in the late 1960s, Robert moved his business to its present location in Uliga and opened what was, by 1970's standards, a huge grocery and retail store. The store included Majuro's first large freezers, making it possible for RRE to begin importing frozen chicken, ice cream and other frozen goods. Though many in the early 1970s scoffed at his constructing the office building next to the main store, Robert was confident that office rentals would be a successful business. The company continued expanding--adding a wholesale store, a shipping agency, Ace Hardware, Napa auto parts, a car rental, and a hotel and restaurant. Tragedy struck in the early 1970s when his first son, Julian, who had been very involved in the family business and had started his own store, was killed in a car accident. By the mid- to late- 1970s, most of his other sons and daughter were involved in the day-to-day operations of the store. One of Robert's early innovations that allowed his store to leap beyond other businesses was his realization of the value of expatriate managers. He was the first local businessman to bring in an American manager in the mid-1960s. 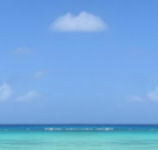 Robert understood the value of having a non-Marshallese manager as a buffer between him and his large extended family of relatives so that he could build the business while still maintaining good relations with his many relatives. Moreover, these expatriate managers brought useful technical expertise and managerial skills to the growing business that allowed Robert to focus more on dealing with customers and related business and community activities - work that he was adept at. Robert's vision extended beyond the retail level. In the mid-1980s, before most people in the Marshalls knew what "aquaculture" was all about, he was investing in a clam farm on Wau Island in Mili Atoll. Over the next 10 years, Robert and RRE would invest several hundred thousand dollars in the clam farm. By 1995, RRE began clam exports to the United States, a business that it has continued to build. Robert died on September 27, 1998. His wife Lupe died on July 23, 2000. They are survived by seven children: Richard (Kietel), Francis (Teruo), Vincent, Ramsey, Minna, Ronnie and Reico; and hundreds of grand-, greatgrand and great-greatgrandchildren.